The following is an overview of the nature of the complaints that the Pincher Creek Detachment received for the period of April 17 - 23, 2017 . Note that the summary indicates what was reported to the police and may not have been substantiated. 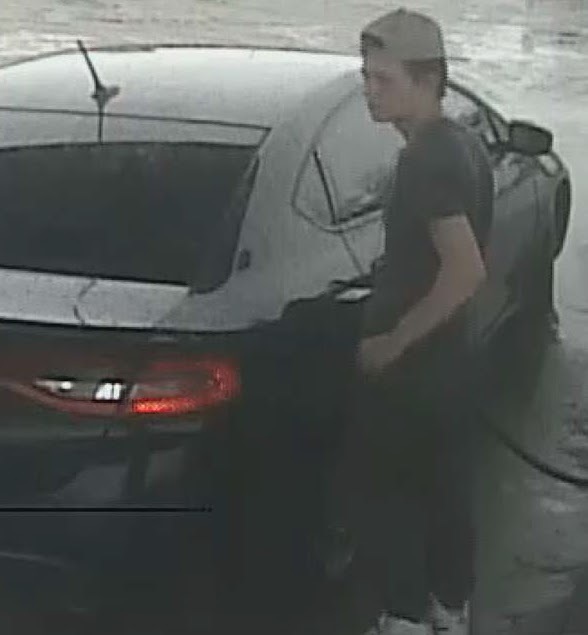 Airdrie, Alberta - Airdrie RCMP are asking the public for information to help identify a male suspect responsible for the theft of gas from Co-op Gas Bar located on Main Street in Airdrie. On Thursday, April 13, 2017, at approximately 11:00 am, three persons operating a stolen Dodge car fuelled up with $46 worth of gas and left without paying. A photograph of one male passenger whom was fuelling the vehicle was obtained. Anyone with information on this occurrence or who can help identify the suspect is asked to contact Constable Nicolas Claveau at the Airdrie RCMP Detachment at (403) 945-7200. Should you wish to remain anonymous, you can contact Crime Stoppers by phone at 1.800.222.8477 (TIPS), by Internet at www.tipsubmit.com, or by SMS (check your local Crime Stoppers [www.crimestoppers.ab.ca] for instructions on how to do). You do not have to reveal your identity to Crime Stoppers, and if you provide information to Crime Stoppers that leads to an arrest(s), the recovery of stolen property, and/or a seizure of illicit drugs, you may be eligible for a cash reward. Del Bonita, Alberta - Raymond RCMP are asking the public for information to help identify suspects involved in a theft from a rural property south of Del Bonita, near the Canada and United States border. Sometime between 8pm and 10pm, on April 21, 2017 unknown individuals entered a rural gravel pit south of Del Bonita and proceeded to remove a Caterpillar D-6 bulldozer. The bulldozer was driven off of the property and loaded onto a waiting semi-tractor unit with a flat deck trailer. Anyone with information on this occurrence or who can help identify the suspects are asked to contact Raymond RCMP at (403)752-4747. Should you wish to remain anonymous, you can contact Crime Stoppers by phone at 1.800.222.8477 (TIPS), or by Internet at www.tipsubmit.com. You do not have to reveal your identity to Crime Stoppers, and if you provide information to Crime Stoppers that leads to an arrest(s), the recovery of stolen property, you may be eligible for a cash reward. It is believed that the excavator was loaded on a flat deck trailer being towed by a Semi Truck. The excavator was loaded 200 yards North of the Blindman Bridge on Highway 2, in the North bound lanes. It is believed an entire lane would have been blocked during the loading process. The incident occurred sometime between 7:30 pm on April 21 and 7:00 am on April 22. Investigators are asking anyone who may have information regarding this occurrence to contact Blackfalds RCMP at (403) 885-3300. If you want to remain anonymous, you can contact Crime Stoppers by phone at 1-800-222-8477 (TIPS), or by internet at www.tipsubmit.com. You do not have to reveal your identity to Crime Stoppers, and if you provide information to Crime Stopper that leads to an arrest(s), you may eligible for a cash reward. Airdrie, Alberta - Airdrie RCMP are asking the public for information to help identify two persons responsible for the theft of lotto tickets from the Petro Canada located on East Lake Crescent in Airdrie. On Saturday, April 22, 2017, at approximately 7:35am, two males, working together, entered Petro Canada and stole an entire lotto ticket display unit from the check-out counter. The males then departed in a black, lifted Ford truck. The truck had large aftermarket tires, fender flares, a black headache rack, chrome tool box, and a small chrome brush guard on the front. Anyone with information on this occurrence or who can help identify the suspects is asked to contact Constable Nicolas Claveau at the Airdrie RCMP Detachment at (403) 945-7200. Should you wish to remain anonymous, you can contact Crime Stoppers by phone at 1.800.222.8477 (TIPS), by Internet at www.tipsubmit.com, or by SMS (check your local Crime Stoppers [www.crimestoppers.ab.ca] for instructions on how to do). You do not have to reveal your identity to Crime Stoppers, and if you provide information to Crime Stoppers that leads to an arrest(s), the recovery of stolen property, and/or a seizure of illicit drugs, you may be eligible for a cash reward. Edmonton, Alberta - The RCMP are asking the public`s assistance to identify an individual believed to be responsible for several Bank Robberies in Lower Mainland BC. The following is the press release that was sent out by BC in regards to these investigations. If anyone has any information about the Identity of this individual please contact the numbers provided in BC or contact myself here in Edmonton, Sgt. Jack Poitras at 780-412-5261. Surrey, Langley, and Chilliwack RCMP along with Abbotsford Police Department are asking for the public’s assistance in identifying a suspect in a series of alleged bank robberies across the Lower Mainland in the month of March and April. On March 3rd in Surrey, March 17th in Langley and Abbotsford, and April 3rd in Yarrow, financial institutions found themselves victims of a robbery. In all three instances, a similarly described man is alleged to have produced a robbery note and made off with an undisclosed amount of cash prior to police arrival. Thankfully, no violence was used during any of the incidents and no employees or clients were injured. The surveillance cameras at all three locations were able to photograph the alleged suspect. Depicted in the surveillance photos (see above) is a man described as possibly South Asian or Filipino, in his 30s, 5'8", with a medium build, dark beard and moustache, and wearing a black toque, sunglasses, black gloves, black jacket and black pants. Police believe it is the same man in all three incidents. · Crime Stoppers, if they wish to remain anonymous, at 1-800-222-TIPS or www.solvecrime.ca. Beaumont, AB - On April 21st, 2017, Beaumont RCMP received a complaint of a male threatening another person. A subsequent investigation resulted in police attending the Eaglemont Apartments and making entry into one of the units. The male attempted to flee off balcony and was arrested a short time later. The arrest was effected safely and without further incident in liaison with the Leduc RCMP Drug Section and Police Dog Services. Byran Lawrence HANSEN, age 28, has been charged with Uttering Threats and Fail to Comply with Probation. HANSEN is still in custody pending his next court date. The Beaumont RCMP would like to thank the members of the public that assisted and cooperated during this investigation. On April 15th at 11:30 PM the Bonnyville RCMP responded to a fire at one of the units in the King Arts Apartment Building on the 4700 block of 41 Street in Bonnyville. Strathcona County, Alberta – The investigation continues into the Hit & Run that occurred on Saturday April 22, 2017 at the Superstore Gas Bar located on Baseline Road in Sherwood Park. On Sunday April 23rd at approximately 7:00 p.m. Strathcona County RCMP located and seized the vehicle believed to have been involved in this incident at an undisclosed location in Sherwood Park. The investigation is continuing and police are requesting that anyone with information on the identity of the driver or who may have witnessed the incident to contact them. The victim remains in hospital in stable condition. Grande Prairie, Alberta – On Friday April 21, 2017 at approximately 5:50 P.M. the RCMP arrested a male who was trying to gain access to police vehicles with an axe. An off duty police officer, noticed a male in the back parking lot trying to gain access to police vehicles with an axe in hand. When confronted by police, the male suspect ran to the front of the detachment where he refused to comply with their requests. The male then fled on foot and dropped the axe. Police apprehended the male shortly thereafter without any further incident. MARTINEAU appeared in court April 24, 2017. Bail was not spoken too and he has been remanded into custody until his next court date on September 6, 2017. On April 24 between the hours of 8:00 - 11:00 AM a residence on Highway 657 near Township 604 was broken into. Unknown culprits broken into the residence and an outbuilding stealing Passports, Birth Certificates, SIN cards, cash and a 2015 Black Diesel Chevrolet Silverado Duramax bearing Alberta Plate 59K519 with a Tonneau cover over the box. Strathcona County, Alberta – This morning at approximately 9:34 a.m. Strathcona County RCMP and Strathcona County Emergency Services responded to a workplace accident at the Hi-Pro Feeds business located on Liberty Road in Sherwood Park. A 57 year old male from Saskatchewan was located deceased inside a grain hopper onsite. Early indications suggest the victim was in the process of clearing the hopper when the accident occurred. The name of the victim is not being released. No other information is being released at this time and as the vehicle was from out of province the Federal Occupational Health and Safety investigators have taken over the follow up investigation. No further information is available from police at this time. Desmarais, Alberta - On April 20, 2017, at approximately 11:15 p.m., Desmarais RCMP responded to a firearm complaint near a residence where it was believed gun shots were heard. A vehicle was seen fleeing the area at a high rate of speed but was not located. A short time later police responded to a second report of shots fired near a separate residence. Police arrived at the residence and arrested three suspects that were located in a vehicle. Two shotguns were also seized. Kendra Mary Young and Trevor Anthony Blakeney were released after a hearing with court conditions. Jordan Dillon Gambler was remanded into custody. All three are scheduled to appear in Desmarais Provincial Court on April 27, 2017. As this matter is now before the courts no further information will be made available. · Do not purchase a product or service without carefully researching the products/services and the associated business (if applicable). · Be wary of down payment requests for a product or service. · Be wary of product or service prices that are too good to be true. If you are a victim of fraud, or if someone has attempted to fraudulently obtain money from you,please contact the Wood Buffalo RCMP at 780-788-4000. If you want to remain anonymous, you can contact Crime Stoppers by phone at 1-800-222-8477 (TIPS) or by internet at www.tipsubmit.com. You do not have to reveal your identity to Crime stoppers, and if you provide information to Crime Stoppers that leads to an arrest(s), you may be eligible for a cash award. On February 28th, 2017, a theft occurred at Sturgeon Composite High School. A banded and wrapped lift of plywood, valued at over $3000, was stolen from a compound located at the school. The surveillance from a neighbouring business shows a white truck pulling a single axle flat deck trailer entering the East entrance of the school at approximately 11:00 p.m. The truck is believed to be an early 2000’s GMC or Chevrolet with black trim and aluminum box rails. The truck stayed at that location for approximately 15 to 20 minutes before backing the trailer into the compound. It was parked in that position for another 20 to 25 minutes before departing the area. If anyone has any information regarding this vehicle and similar thefts, please contact the Morinville RCMP at 780-939-4520, or call Crime Stoppers at 1-800-877-TIPS (8477). Red Deer, Alberta – Red Deer RCMP are looking for public assistance to identify the man who assaulted a man the afternoon of April 21 in the Riverside Meadows neighbourhood, sending him to hospital with numerous facial injuries. At 5:30 pm on April 21, RCMP responded to a report of an injured man in a field in the area of 54 Avenue and 60 Street. EMS attended and took the 49 year old victim to hospital, where he was treated for facial injuries that will require surgery. The victim was not able to provide a description of his assailant, who was noted to be a male with dark hair. RCMP continue to investigate. If you saw suspicious activity at that time or have information about this incident, please contact the Red Deer RCMP at 403-343-5575. If you wish to remain anonymous, call Crime Stoppers at 1-800-222-8477 or report it online at www.tipsubmit.com. If your information leads to an arrest, you could be eligible for a cash reward up to $2,000. Red Deer, Alberta – Red Deer RCMP have made a number of arrests over the past 12 days for various offenses involving stolen vehicles, stolen credit cards and identification, suspicious activity and possession of weapons in violation of court-imposed conditions. Many of those arrested were wanted on outstanding warrants or were breaching court-imposed conditions. A number of suspects were arrested in hot spots that Red Deer RCMP identify each month as requiring focused patrols due to criminal activity, as part of the RCMP crime reduction plan. More were arrested thanks to reports from the public of suspicious activity. Shortly after 4:30 am on April 12, Red Deer RCMP responded to a report of suspicious activity in a residential alley in Eastview. On arrival, police located a man who was in breach of probation and court-imposed conditions. Penney made his first court appearance in Red Deer on April 13 and appears again on April 20. At 3:30 pm on April 12, RCMP on patrol located a vehicle with a stolen license plate in a gas station parking lot. Due to the high incidence of stolen vehicles attempting to flee police, a number of police officers attended including Police Dog Services. The male driver was taken into custody after briefly resisting police. A 31 year old man faces charges for possession of stolen property and several charges of failing to comply with conditions. Those charges have not been sworn yet. Shortly after 5 pm on April 14, RCMP responded to a report of a possible stolen truck driving in the Lancaster neighbourhood, and located the vehicle as it drove north on 30 Avenue. Police contained the area and initiated a traffic stop, taking the driver into custody without incident. The suspect was further identified as having just stolen items from a nearby store. The truck had been reported stolen out of Lacombe on April 11. Halkett will appear in court on June 7 at 9:30 am. Shortly after 9:30 pm on April 14, RCMP responded to a report that a man had just used counterfeit Canadian money at a north side convenience store. RCMP attended the store and arrested the suspect without incident. 31 year old Dylan Michael Johnson faces a charge of Criminal Code 452(a) for uttering counterfeit currency; at the time of his arrest, he was also wanted on a warrant for a traffic complaint. Johnson will appear in court in Red Deer on May 9 at 8:30 am. At 10:30 pm on April 14, RCMP conducted a traffic stop and arrested the driver after he gave police a false name in an effort to avoid being arrested for an outstanding warrant. The 27 year old man was arrested after police determined his real identity, and was found to be in possession of what is believed to be methamphetamine. Charges are pending but have not yet been sworn before the courts. Shortly after 3 am on April 15, RCMP responded to a report of a man at a downtown convenience store making threats and waving a knife. When RCMP arrived, the suspect fled on foot but police quickly located him and took him into custody without incident. Yellowface-Dixon made his first court appearance in Red Deer on April 15 and will appear again on April 25 at 8:30 am. Just after 7 pm, RCMP received a report of a possible break and enter in progress on Golden West Avenue in north Red Deer. Police responded immediately and located the suspect, who attempted to flee on foot and was taken into custody after a brief foot chase. The suspect was found to be in possession of an SUV that had been stolen as part of a residential break and enter reported out of Sturgeon County earlier the same day. Police also located several stolen TVs and a sawed off rifle. Nicholson made his first appearance in court in Red Deer on April 20 and will appear again on April 28 at 9:30 am. Just before 3:30 pm on April 19, RCMP on patrol in downtown Red Deer located a suspicious parked vehicle that attempted to depart on seeing police. Four people were taken into custody and police recovered numerous stolen identity documents and credit cards. Charges are pending but have not yet been sworn before the courts. 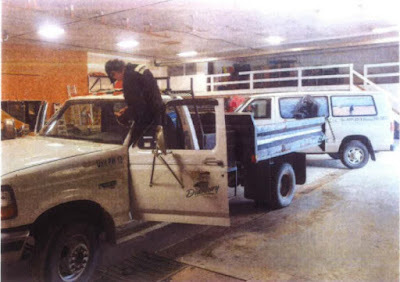 At 11 pm on April 19, as RCMP were patrolling back alleys in the downtown, police officers located a parked truck that had been stolen out of Calgary, that was occupied by three individuals. The investigation quickly determined that the black truck parked beside it had also been stolen, out of Blackfalds. Klinck makes his first court appearance in Red Deer on April 24. RCMP continue to investigate. Further charges are pending against a 33 year old woman but those charges have not been sworn before the courts. At 11:30 am on April 21, RCMP were called to an electronics store in response to a report of a suspect who was attempting to finance a purchase with identification that staff believed did not belong to him. RCMP responded and arrested the suspect after a brief foot chase. The suspect was found to be in possession of numerous stolen credit and debit cards, cheques and personal identification, and what is believed to be methamphetamine and oxycodone. Schuster makes his first appearance in court in Red Deer on April 28 at 8:30 am. On April 21 at 9:30 pm, RCMP located a stolen truck as it drove in south Red Deer and initiated a traffic stop. The male driver was taken into custody without incident. The truck had been reported stolen out of Ponoka in February. Deering will make his first court appearance in Red Deer on April 24. Shortly before 4 am on April 22, RCMP on patrol in Riverside Meadows initiated a traffic stop and determined that the driver was under conditions not to be in a vehicle without the registered owner present, and was wanted on an outstanding warrant. During his arrest, RCMP located three stolen credit cards. Brown will make his first court appearance in Red Deer on April 24. St. Albert, Alberta - St. Albert RCMP are seeking the public's assistance in identifying a possible suspect in a break and enter. Six storage lockers and multiple vehicles at 45 Inglewood Drive were broken into and rifled through. This occurred at approximately 4:00 A.M. on Tuesday, April 11, 2017. No items were reported missing. A female was observed on surveillance video entering the 6 storage units. The break and enters may be related to a suspicious vehicle, a white Ford pick up being operated by an Asian female which was seen reversing up the exit ramp at approximately 7:00 A.M. that same morning. If you have information about this incident, please call the St. Albert R.C.M.P. at 780-458-7700 or call your local police. If you want to remain anonymous you can contact Crime Stoppers by phone at 1-800-222-8477 (TIPS), by Internet at www.tipsubmit.com or by SMS (check your local Crime Stoppers www.crimestoppers.ab.ca for instructions). Red Deer, Alberta – Red Deer RCMP have charged two men after they fled police in a stolen truck on April 21 then crashed into the front steps of a house in Clearview Ridge. During the course of the arrest, RCMP located a shotgun that is believed to have been stolen out of Clearwater County during a residential break and enter on April 17. The license plate on the truck had been reported stolen out of Red Deer on April 19. Boyce makes his first appearance in court in Red Deer on April 24 at 9:30 am. Terpstra makes his first appearance in court in Red Deer on April 24 at 9:30 am. RCMP continue to investigate and will issue an update as more information becomes available. On April 12, 2017 at 4:45 am, Coronation RCMP received a report that the Race Trac Gas at 5529 Highway 12 in Coronation had been broken into. The suspect caused significant damage to the building and departed with money. Two additional break-ins were reported soon after at the Highway 12 and 36 junction Central Alberta Co-Op Castor Cardlock, and at the Food Town grocery store on 50 Avenue in the Town of Castor. In all three incidents, the suspect forced entry into the businesses. Once inside, the suspect targeted locked cabinets containing tobacco and lottery products. Based on surveillance images, the suspect is believed to be Caucasian, between 5’9” and 6’0” with a medium build. The suspect was wearing a dark reflective jacket, a grey hooded sweater, black gloves, glasses, black sneakers with white soles, and blue jeans. The suspect’s face was primarily covered. The suspect’s vehicle is believed to be a newer model heavy duty metallic blue pick-up truck with a chrome grill, chrome sidesteps and chrome fender flares. The truck has a steel louvered 5th wheel tail gate. The Coronation RCMP believe this individual is responsible for previously targeting the Central Alberta Co-Op Castor Cardlock and Food Town on March 30, 2017. Investigators are asking anyone who may have information regarding this occurrence to contact Coronation RCMP at 403-578-3666. If you want to remain anonymous, you can contact Crime Stoppers by phone at 1-800-222-8477 (TIPS), or by internet at www.tipsubmit.com. You do not have to reveal your identity to Crime Stoppers, and if you provide information to Crime Stoppers that leads to an arrest(s), you may be eligible for a cash reward. On April 23rd, 2017 at approximately 10:38 PM, Okotoks RCMP were dispatched to a single vehicle rollover west of the Town of Okotoks. A GMC Sierra pickup was east bound on Big Rock trail when it failed to negociate a curve. The truck rolled in the east ditch and the driver was ejected. The 43 year driver was the lone occupant, and was pronounced deceased on scene. The roads were wet at the time. The RCMP continues to investigated the collision. Drivers name is not being released until all Next of Kin have been notified. Jasper, Alberta - On April 23, 2017 at approximately 6:00 P.M. Jasper RCMP, Jasper Volunteer Fire Brigade and Jasper EMS responded to a multiple vehicle collision on Highway 16 at Snaring River. Multiple people were transported to the hospital in Jasper and Hinton including one male in critical condition. As the matter is still under investigation, no further press release will be issued. Jasper, Alberta - On April 20th, 2017 at approximately 11:45 pm, Jasper RCMP officers conducted a traffic stop on Highway 16 for a speeding offence. During the traffic stop, officers entered into an impaired driving investigation. As a result of that investigation the suspect male driver was advised he was under arrest. The suspect resisted attempts to take him into custody and he actively fought with officers and after an unsuccessful conducted energy weapon deployment he was able to escape custody and flee the scene. A few minutes later, the suspect was located on Highway 93 and RCMP officers conducted a high risk vehicle stop. The suspect initially stopped but failed to remain stopped and then fled again. Police successfully deployed a tire deflation device and the suspect continued to drive a short distance with four deflated tires while being pursued by police. The vehicle came to a stop and the suspect was taken into custody without further incident. 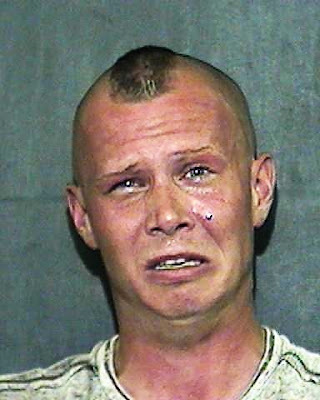 As a result of this investigation, Phillip Jason MANNIX, age 41 of Grande Prairie, was charged under the Criminal Code of Canada with flight from police, assault on a police officer, assault on a police officer with a weapon, assault on a police officer causing bodily harm, two counts of impaired operation of a motor vehicle, two counts of dangerous operation of a motor vehicle, two counts of resisting arrest and two counts of failing to comply with a court order. MANNIX has been remanded into custody and is set to appear at the Jasper Provincial Court on April 27th, 2017. As the matter is now before the courts no further release will be forthcoming. Leduc, Alberta – The fifth and final suspect in an October 2016 home invasion is now in custody. Yesterday, 51-year-old Ryan Warren Taylor was arrested by Edmonton Police Service on outstanding warrants issued by Leduc RCMP. Taylor had been earlier identified as a suspect in a Leduc home invasion along with four other individuals. Following his arrest, Ryan Taylor was turned over to Leduc RCMP. He has been remanded in custody with a bail hearing appearance date of April 27 in Leduc Provincial Court. On April 20, 2017 at 1037 am Wetaskiwin RCMP responded to a 911 call reporting a male youth with a handgun in the Wetaskiwin Mall. A male youth approached two other youths and produced a handgun. The two victims fled the scene and contacted police immediately. Police responded to the mall and identified additional witnesses. The suspect was not immediately located as he fled the area. Police were able to identify and subsequently locate the male youth, in the 3800 block of 54 Street in Wetaskiwin. The male youth was arrested without incident. No firearm was recovered as a result of this investigation. Wetaskiwin general duty investigators were assisted by Wetaskiwin General Investigation Section, Police Dog Services and Maskwacis detachment members. The 15 year old male youth, who cannot be named under the Youth Criminal Justice Act, faces weapons related and Uttering Threats charges.. He was released to an adult, with several conditions and will appear in court on June 7, 2017 in Wetaskiwin Provincial Court. 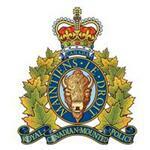 Didsbury, AB - On April 20, 2017 at approximately 4:00 pm Didsbury RCMP responded to a report of a serious motor vehicle collision. The collision occurred on Highway 2A near the intersection of Township 284. A pick up truck and car collided resulting in both the car's occupants being fatally injured. The driver of the truck was transported to hospital by STARS air ambulance. Airdrie, Alberta – An inter-provincial investigation between RCMP, Calgary Police, Windsor Police and Ontario Provincial Police has resulted in charges being laid in a series of Pharmacy Armed Robberies in Southern Alberta and Ontario. On March 20th, Airdrie RCMP responded to an armed robbery at the Crossfield Pharmacy. A short time later, RCMP were notified of another robbery, this time at the Sandstone Pharmacy on 8th Street in Airdrie. On March 30th, Turner Valley RCMP were dispatched to Sandul’s Pharmacy in Black Diamond for a reported armed robbery. On April 5th, a fourth robbery occurred, this time at a pharmacy in Bragg Creek. In each of the robberies, a man armed with a knife entered the area where narcotics were kept and stole prescription medications including opiates. On April 7th, the RCMP Serious Crimes Branch took the lead in investigating the four Alberta armed robberies. At the same time, OPP in Essex County were investigating 14 robberies that had occurred in several jurisdictions across Ontario from October 2016 to March 2017. The RCMP and OPP investigation led to the identification of Dustin Ross Robinson, formally of Sarnia Ontario and currently residing in Calgary, Alberta. The joint investigation gathered evidence which included search warrants for a residence and vehicle in Calgary, and a work site near Fort McMurray. The search warrants were conducted on April 13thand 14th, resulting in the recovery of clothing and items used by the suspect in addition to an abundance of prescription narcotics taken during the robberies. 34-year-old Dustin Robinson has been charged with 4 counts of robbery and 4 counts of disguise with intent relating to the Alberta armed robberies. He has been remanded into custody and is scheduled to appear in Airdrie Provincial Court on April 20, 2017. In addition to the Alberta charges, Robinson is facing an additional 24 criminal code charges in Ontario stemming from the armed robbery investigations there. Didsbury, Alberta - On April 19th, Didsbury RCMP responded to a complaint of a stolen vehicle from the Town of Didsbury public works yard. The vehicle is described as a dually 1997 Ford F-350 with a box in the back and Alberta licence plate VRE 425. It has Town of Didsbury decals on the side along with the number 13. This truck should be very easy for people to spot. If you do see it, please contact your local police.